Before we dive into this article, I’d like to invite you to play with me for a moment. Imagine that I’ve placed three buckets of red paint infront of you named: Burnt Orange, Fire Engine Red and Sunburst Yellow. Each of these vary slightly in vivacity, purity and tone, and your job is to mix all three of these colors to make the color, Cranberry. Sounds relatively easy, doesn’t it?! For some color savvy individuals, it might be a breeze, but now let’s imagine that I’ve taken out Fire Engine Red and Sunburst and replaced it with Eggplant and Tawny. 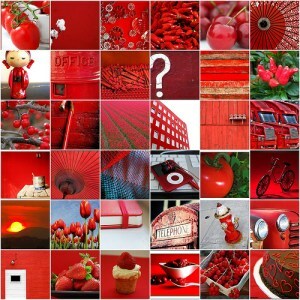 Suddenly creating that exact same Cranberry color might not be so easy. Come morning, when the breaking light peeks out from over the horizon, will that same “cranberry” color be perceived the same as you imagined? What of the evening’s setting sun? Like a series of still wines before they’re blended to make the final cuvee, an artist must be intimately familiar with each and every color, conscious of how the final blend will alter, evolve and change dependent on the texture of the canvas, the surrounding colors, the atmosphere and the light. When we were invited to the Segura Viudas Winery to better understand the process of an assemblage when crafting a cava wine, I don’t think we truly grasped this concept. For both Ryan and I, we assumed that the blending process would be a trying and challenging one, a precarious balance between art and science, but what we didn’t predict is how unpalatable, and incredible, it can truly be. 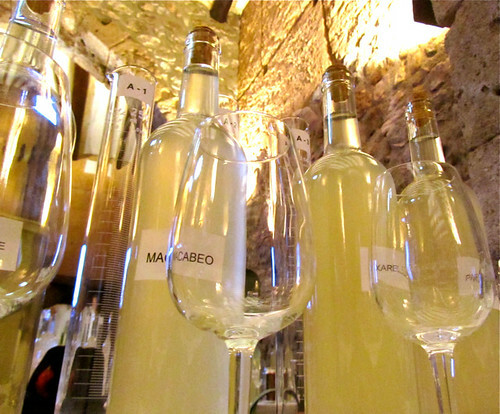 Cava is traditionally produced using the 3 famed white grapes of the region: Macabeo, Parellada and Xarel.lo, which vary drastically in acidity, body, texture and flavor. And to blend a non-vintage Cava, a winery must work diligently to uphold both quality and consistency year after year. Much how Starbucks wants you to enjoy that same triple decaf non-fat mocha regardless of where you are in the world (yes, I too am shivering in my boots when considering such a thought), a Cava house wants you to taste the same NV Brut Nature whether you enjoyed it 10 years ago or last night. In theory, this may sounds rather simple: pick the grapes, make the still wines, blend according to your house recipe and voila!, you have your standard NV Cava. Right?! Erm…no. The winemaker must wrestle with varying vintage conditions, where each batch of grapes are unique onto themselves, as a result of the differing vineyards, growers and varietals. As part of our assemblage learning experience, we were provided with 3 bottles of Xarel.lo, Parellada and Macabeo, respectively, and asked to create the perfect blend for our palate. “Easy!” I screeched, not fully understanding that this particular still wine is unfinished – and by unfinished, I mean harsh. Yet, a cava maker will continually blend theses 3 unfinished wines until they’ve found that perfect recipe, an endearing cupage that will eventually break free and become a gorgeous cava. For the untrained palate, or someone who hasn’t spent the last 3 decades understanding their grapes and blending techniques, this process can be a dumbfounding. I, personally, felt my dozen or so blends would be better utilized as cooking wines, so to jump from cooking wine to one of my favorite styles of wine was quite the feat, and one I give a considerable amount of credit to the winemaker for. My suggestion, try doing an assemblage of your own. Get a few bottles of monovarietal wines, we suggest, Xarel.lo, Macabeo and Parellada and whip up a blend that entices your palate. Mind you, your blend will be made from 3 finished wines that are meant to drink now, unlike the wines used to make a cava cuvee; hence, your final recipe will be more of a blended white than a future Cava. Then, have a group of friends try and re-create your final assemblage with that same batch of base wines. Have fun! Granted, you won’t have the opportunity to add the bubbly goodness you’d acquire during cava’s second fermentation, but don’t let that stop you. Just make sure to come back here and tell us what you think.